Description:KJ-V1200-DK Intelligent Vacuum Porcelain Furnace applies auto lift and down tray design, it is suitable for all kinds of ceramic powder materials,such as Vita In-Ceramics,Shanghai Jade Crowns,etc., and owns fellowing characteristics. automatically,ensure the actually temperature error within +/-1. ●Easy to operate,compact size,the smallest size in the world at present. 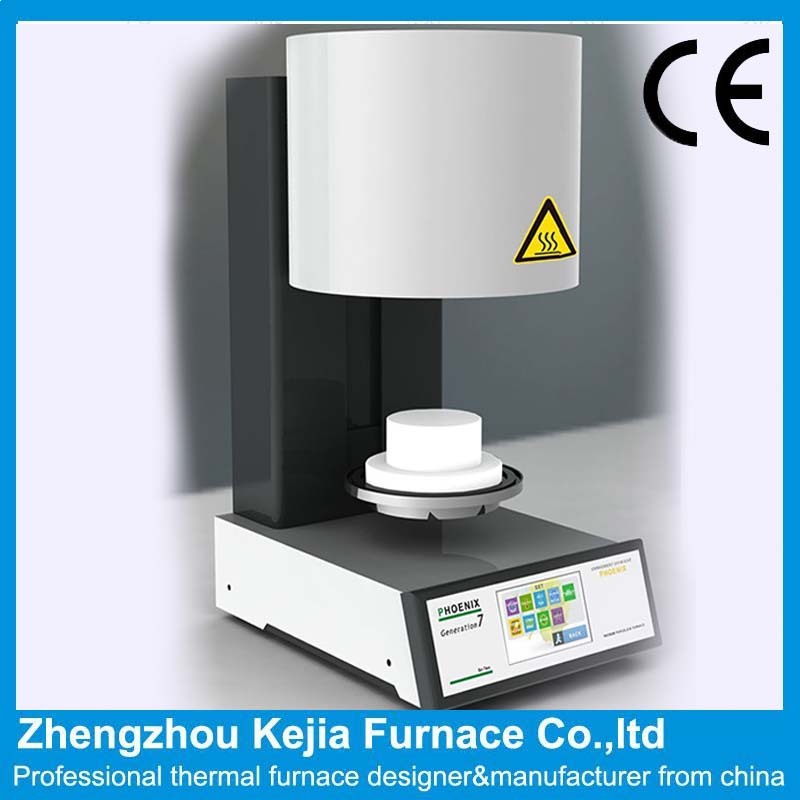 ●Temperature adjustment automatically before every firing procedure. ●True color touch screen, the operation is simple and convenient. The velocity of temperature increasing: 200℃/min max.